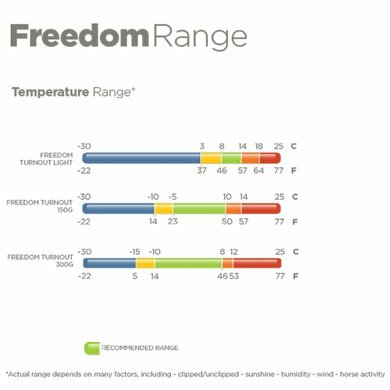 The Bucas Freedom Turnout Full Neck is a strong rain sign. The blanket has a polyester outer surface and a nylon lining. 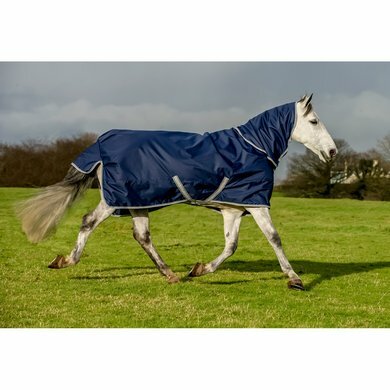 The Bucas Freedom is a 100% waterproof blanket. The beautiful blanket is of a very good value for money. There is a fixed neck on the blanket. This neck can not be removed from the blanket. The blanket has a solid closure of 2 hooks that you need to connect. This can be hidden and protected by means of the overlapping flap with Velcro. The adjustable crusher parts allow you to adjust them to your horse. A tail cord is already on the blanket. This tail cord is enough to keep the blanket in the right place when a horse rolls, provided the blanket fits properly. If you want to have a few car cords on the blanket then this is possible to confirm. However, the car belts are not included. Utility: rip-stop polyester 800 denier. - Inner lining: Smooth nylon. - Breathability: 3000 g / m2 24 hours. - Other closure: Crossbars, car cord, connection bellows (not included). - Neck: Fixed to the blanket. He fits perfectly, is good and I would recommend this blanket to everyone! 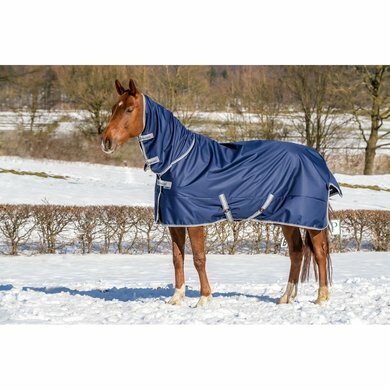 This blanket is ideal for my horse in the pasture. Remains well and is really waterproof. 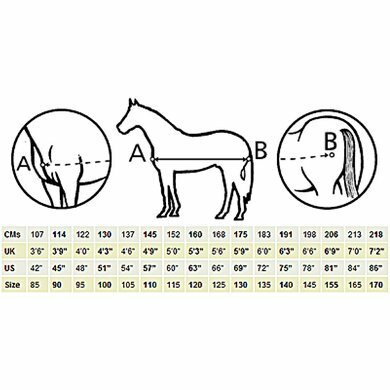 For my horse it is difficult to find a suitable blanket, 195 is just too tight, 205 is too big. because this blanket is 198 it falls perfectly with my horse. The only thing is that with my blanket the leg straps are not included. I have created it myself. The rings are in the blanket. Fits super. A very long neck. If you do not only have belt belts, you would expect that money.